Whether you’re launching a new business, or you already have a well established one, BigCommerce is the perfect ecommerce platform - offering a performant, user-friendly ecommerce solution, and beautiful responsive design. They’re also our recommended solution for B2B and wholesale ecommerce businesses, due to the extra features they offer to this type of business. Alongside great technology, they have a thriving app store, large and engaged community, and highly detailed blogs offering lots of great advice for succeeding in ecommerce. There’s no doubt that BigCommerce provides you with everything you need for a successful front-end operation, but you also need to consider all of the processes and workflows that happen behind the “buy button”. Sales order fulfillment, multi-location inventory management, managing purchase orders with vendors, full warehouse operations, updating accounts and financial reports; all these parts of your business need to be supported by systems and technology outside of BigCommerce. In this guide, we’ll discuss some of the core activities that are best placed in a back office solution, and how you can ensure you’re optimizing your BigCommerce store and BigCommerce-powered operations. There are core activities involved in your business that are best placed in back office retail and wholesale systems, like Brightpearl, to ensure BigCommerce is working its hardest for you. Read on to find out how you can extend and optimize your BigCommerce platform and start automating these retail workflows and core business operations. Like most ecommerce platforms and inventory management systems, BigCommerce has the ability to track inventory levels on a per SKU basis, which is a great first step to maintaining accurate inventory levels and limiting overselling. However, once you scale up, you’ll likely want to start using multiple locations, such as opening new warehouses or launching new stores. Since BigCommerce doesn’t have the concept of multiple inventory locations, you’ll need to find another way to manage your inventory - some merchants even turn to spreadsheets. Multi-location inventory management is a complexity in BigCommerce that can be eliminated by using a dedicated back office system with strong inventory management functionality. A back office solution should facilitate the multiple pools of inventory, combining them to generate a product’s combined availability and then pushing that to BigCommerce in real-time. When orders are placed, the solution can then takeover once again and route the fulfillment requests to the right team and inventory location. BigCommerce offers the ability to print orders, which you can use as packing notes. They also integrate with the powerful shipping software, ShipStation. Each of these features are perfect if you’re starting out as a BigCommerce merchant. Once you scale up and start processing hundreds or even thousands of orders per month though, your warehouse team will need a tool with built-in warehouse management workflows to avoid mispicks, missed orders and a slow fulfillment process. Without these features, warehouse staff typically work at a much slower pace in order to mitigate as many errors as they can - costing you more in processing time. And in some worse cases, your staff maintain speed and make mistakes, leading to lost customers and potentially negative customer reviews. Managing multiple fulfillment efforts as your business grows can quickly become unmanageable within the admin panel of your webstore; leading to spreadsheets, inaccurate data and missed orders. Any good inventory and order management tool will have the basics of warehousing and order fulfillment covered - picking up orders from BigCommerce as they’re made, filtering them through to the appropriate fulfillment streams, facilitating the order assembly through dedicated pick-pack-ship workflows, and then updating BigCommerce with progress and tracking references. All of our most successful companies sell on multiple sales channels, and BigCommerce is a great ecommerce solution to quickly establish and launch new webstores to serve different markets or brands. In a study of 46,000 consumers by the Harvard Business Review, 73% of people used multiple channels before purchases. BigCommerce offers you the ability to create multiple stores within one account, which means that you’ve got a very efficient way of creating new brands or launching into new territories. 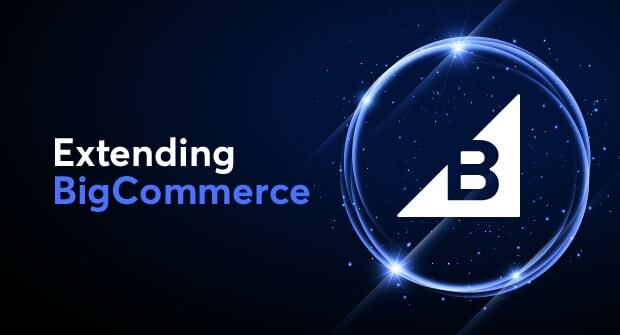 Through integrations to leading payment gateways, including Worldpay and Stripe, as well as the ability to have your stores in any language, BigCommerce has got all the front-end tasks covered. But you also need to consider what happens after the “buy button”. Order fulfillment as an example can become tricky. When you make the move to multiple brands, you need that branding to survive all the way from checkout, to the time your customers open the package. Additionally, when setting up new territories, you’re likely to be setting up new fulfillment operations to support them, perhaps outsourcing this new venture to third party logistics companies (3PLs) to avoid international shipping costs. A centralized order management system will take orders from each channel, route them to the appropriate team - and most importantly, won’t force you to make any changes to your website. When it comes to selling offline, such as in a physical store, or as a rep on the road, you’ll need to equip your staff with an efficient point of sale (POS) solution so they can take orders and issue returns. Although some businesses choose to enter these orders into BigCommerce manually, this can become very time-consuming as your business scales. We also need to remember that in-store operations are unique to their environment and should be handled as such. Dedicated POS software systems are streamlined to power through workflows as quickly as the store clerk can drive them, usually using a barcode scanner, meaning customers never have to wait for things to load. POS solutions also care for the other necessities of running a store, such as end of day cashing up, manager versus store assistant permissions, and fulfilling orders from different warehouse inventory locations. Wholesale and B2B ecommerce is a key area of growth. Net payment terms, card-on file transactions, and customer specific pricing were once only possible in complex enterprise platforms. BigCommerce, complemented with an integrated accounting platform, is flexible enough to allow you to take your wholesale business online, decreasing the number of staff and time required to complete high value wholesale orders. In fact, it’s our recommended solution for wholesale and B2B businesses. BigCommerce is not designed to be a full business management platform, which means you could be missing out on your system handling core retail and wholesale operations in your business for you. You should be looking forward to freeing up your time to focus on growth - here are just a few areas that Brightpearl allows you to do just that. Integrating an order management platform with BigCommerce allows you to establish automated workflows for processing orders. This enables you to focus on the 5-10% of orders that raise exceptions as opposed to every order placed, helping to increase the profitability of each sale. An order management tool should also send inventory updates automatically back to BigCommerce, preventing overselling and removing the manual tasks of keeping inventory levels accurate. Where should your centralized database of customers be? How do you track a single customer interacting with your brand on multiple channels? How do you ensure their information is kept up-to-date? You will either likely concede to not having a central customer database, or spend time and resources loading contacts into BigCommerce or a siloed CRM system. A business management platform allows you to consolidate all of your customer information into a single platform automatically. Instead of wasting time building your database, you can spend time analyzing your customer demographics and implementing targeted marketing campaigns. A great customer experience is one that never leaves the customer having a feeling of ambiguity - such as wondering when they’re actually going to receive an order, or if there are any actions still with them to complete. For a multichannel retail business, it’s imperative that the customer is rewarded with identically high levels of customer service, no matter where they bought their products. Letting BigCommerce focus on the selling, and implementing an order management platform that’s consolidating your various BigCommerce store activities along with your marketplace and telephone sales, doesn’t have to mean that all of a sudden, customers receive the same paperwork and email notifications. A good platform will allow you to customize the documents, text and anything else that’s customer-facing to be consistent with the sales channel they arrived from - all whilst empowering you with a system to internally handle all of the orders en masse. BigCommerce is not designed to be an accounting platform, and likewise, popular accounting packages like QuickBooks or Sage were not built to cater to online retailers. This can quickly lead to delayed or inaccurate financial information, which prevents you from making real-time data driven decisions. The profitability of products purchased overseas or with variable costs can be nearly impossible to track in a system without inventory cost accounting and landed costs. As orders are placed in BigCommerce and then shipped using Brightpearl, all the necessary accounting entries are posted to accurately track the profitability of each sale and the business overall. Landed cost tracking allows you to include costs like ocean freight or insurance into the cost of goods of each product, providing a more accurate view on profitability. By consolidating your BigCommerce sales data into your accounting platform, you will be able to see your profitability relative to all your business overheads. This will give you the time to focus on identifying performance issues in your business and opportunities for reducing costs, instead of consolidating information into spreadsheets or QuickBooks. BigCommerce and Brightpearl form a cohesive technology stack for ecommerce businesses to focus on execution, instead of conforming to systems. BigCommerce’s powerful and flexible front-end features give you complete control over your shopping experience and product catalog, and Brightpearl provides the flexibility to ship those products to your customers, all while automatically tracking your accounting, inventory and customer data. Furthermore, as soon as orders are placed in BigCommerce - whether retail or wholesale - our integration steps in to download all of the details to Brightpearl, automatically routes them to the appropriate fulfillment center, logs activities within your CRM, and automatically adjusts your accounting with exact details on inventory costs incurred and recognized revenue.